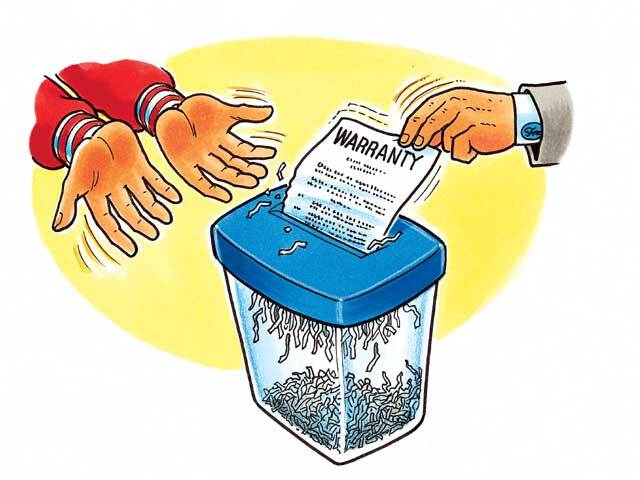 LED Warranties... What you need to know! Being relatively new technology, within the general lighting industry at least, LEDs seem to have a new qualifying parameter or feature monthly. Developments in the quality and performance of lamps and luminaires have always garnished a bit of hype, but as this playing ground gets more and more level the sales focus has shifted to “intangibles” – and of late, warranty has been playing a bigger role that ever before. With clients being better educated confusion is at an all-time high… paradox? Let me explain. Understanding and differentiating between LED offerings requires a comprehensive understanding of thermal management, design, CRI, CCT, flux vs post-optic intensity, optics, LCP, photometric patterns, blah, blah, blah, jargon, jargon, jargon. When faced with competing LED companies who can provide similar product specifications for any given application, the client, no matter how much homework they’ve done, often focus their decision making to what they can understand best, criteria common to comparing product in any industry – and warranty often looms at the vanguard. Warranties in the lighting industry used to be quite simple. The warranty on your fixture (the frame holding the lamp) would be quite robust – 5-10 years for instance. On the ballast (transformer) it was often significantly less or unstated, and the lamp itself it was non-existent. With the introduction of purpose built LED luminaires it became significantly harder to separate at least two of these components – the LED array (lamp) and frame/fixture had merged. Power supplies or LED drivers (formerly ballasts) were oft times inextricable from the luminaire as well. Combined with lifespans which were calculated rather than proven it was a difficult task to assign fair and reasonable warranties to LED products. In the early days, most companies, including Empyrean, had a 1 year warranty, today, after 10 years of empirical data/observations, 3-5 years is standard. Recently we’ve noticed an industry trend of offering 10 year warranties, and in some cases lifetime warranties on LED luminaires.Given that these extended warranties are not based on any leaps forward in the lifespan of components, or increased thermal management, it begs the questions: Where are they coming from, and why are they being offered? On face value it would appear to be a real “win” for consumers but if we scratch the surface we can see that over-inflated warranties are nothing more than a sales tool. 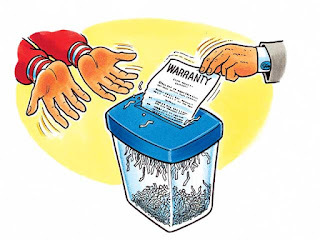 · Warranties are not made equal. A warranty with restrictions on run-time, or limited to certain components, is obviously not as valuable as a comprehensive and unconditional warranty which covers ALL aspects of the luminaire, 24/ run time within the environment of the application period for the duration of the warranty. Caveat Emptor – read the fine print! · Most warranties in the lighting industry are RTB (return to base). Should your luminaire fail, it is the client’s responsibility to bear the maintenance cost to remove and return the luminaire to the manufacturer who will then repair/replace the luminaire and send it back to the client for installation. · WHOA!!! Read the above again… it’s on the CLIENT to handle the maintenance (the single greatest lighting associated cost in most facilities). So let me ask you, if you have a lifetime warranty, but you’re replacing that luminaire 2-3 times more than a competing luminaire, are you actually saving any money despite the luminaire itself being “free” each time? No. Not at all, not even close. We’ve seen this exact scenario recently at a mining site in Australia. The client was offered luminaires with a lifetime RTB warranty – they took half a dozen units to trial, half of which failed in the first year of operation. 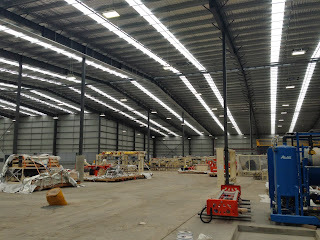 It doesn’t require a PhD in economics to understand that this is not good value, nor is it a sustainable practice considering each luminaire change cost them in excess of $2K – 35M poles. So the ideal solution is for companies to provide warranties which cover the maintenance costs of changing over faulty luminaires correct? Perhaps in a perfect world, where companies like my own could guarantee all aspects of the installation itself – however, with 1000s of luminaries being installed worldwide this isn’t practical or even possible. Clients need to understand that warranty is NOT a guarantee of performance or longevity, rather it is a commercial exercise by the luminaire manufacturer. This often results in a cycle of depreciating product quality: I want to offer a 10 year warranty. Building luminaires that will last for 10 years is impractical in this market. What price per luminaire can the market bear to cover the replacement costs I know are coming? Let’s downgrade component quality to meet the required margins to ensure replacement costs can be covered. Increased sales based on the exaggerated warranty should stabilise returns. Over-simplified to be sure – but not inaccurate I assure you! a. Failure Rates – this is REAL performance data that every company should be able to provide both the failure rates of their luminaires – this includes drivers and LED array. For instance, the rate of failure for our drivers is 0.26% (or ~3 drivers out of every thousand), and the failure rate of our arrays (even a single pixel) is 0.08% (less than 1 out of a thousand) over our standard warranty period (5 years). b. Testimonials & Case Studies – all lighting manufacturers should be able to provide case studies of their luminaires performance in like conditions, and the contact details of those on-site directly responsible for their i and performance. c. Other “intangibles” – equally important is understanding how easy/difficult the lighting manufacturer is to work with. How much support do they offer. What are they’re values generally, and where are they going in the future. This information can be gleaned from the company, but in my opinion is far more powerful coming from other clients (see point b). The point here is do not assume that a long warranty is synonymous with a quality product and in-line with the expectations that you should have of your LED solution. Rather, focus your research on the products’ performance in like conditions and applications and speak to other clients who have personal experience with this technology. This will surely abate future disappointment and headaches regardless of what your warranty predicts! Proposed changes to the Victorian Energy Saving Incentive could mean more energy efficiency opportunities for larger commercial and industrial sites in Victoria. 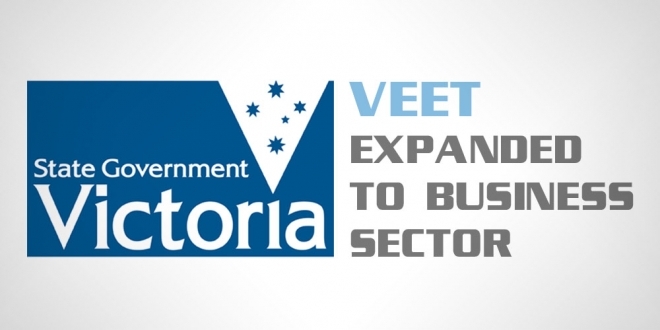 Previously, larger commercial and industrial sites have struggled to engage with the Victorian Energy Saver Incentive due to the limited activities available to be carried out at these sites. On the 22nd of October, the Department responsible for the program released proposed changes to the regulations to include greater Annual Operation Hours into the commercial lighting activity and the introduction of project-based assessments. If these changes are adopted, larger commercial and industrial sites in Victoria will soon have greater opportunity to reduce their energy consumption by implementing energy saving activities and receive financial benefits from the scheme. Keep up to date with future changes via their website. I’ve seen a lot of consumer guides on the internet which give “mom and dad” advice on selecting quality LED products for their home. These guides are often regurgitation's from the Department of Energy recommendations in the States or from other consumer advocacy groups. 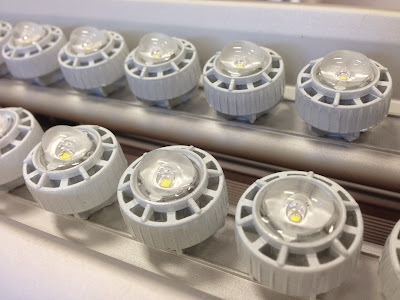 While helpful, there is not quite as much at stake when purchasing a handful of $10 LED globes when compared to replacing a few hundred 400W Metal Halides in a warehouse. In my experience I’ve found that clients employing LED technology for brown field projects are more likely to take advice from their electrical contractor than employ an electrical engineer to assist in choosing the best technology. No fault of the contractor, but they are likely to go with what they know, or if they haven’t been exposed to LED technology on this level, what they’ve heard works well. This isn’t always the best bet for obvious reasons (and most obvious is that every application has its own particular challenges), but by asking your LED luminaire supplier some questions, risk can be minimized and providing the perfect solution for the client is more likely. I’ve assembled 10 questions here which everyone (contractor/wholesaler and particularly end-user) should be asking their potential supplier(s). I have kept the information very brief, and in layman’s terms to keep you all from “flipping the page”, and provided answers specific to our Andromeda™XPB series of luminaires as an example – but if you would like further information on any of these points please contact me directly. 1. Is the product electrically safe and conform to EMC standards? The Regulatory Compliance Mark (RCM) (logo on left) indicates compliance to both electrical safety standards and Electromagnetic Compliance standards required for electrical equipment in Australia. Our Andromeda™ series has the RCM for Australia, cETL for Canada/US, CE and TUV for Europe. 2. Are IES files available? IES files are a digital representation of the lamp/luminaire’s performance characteristics, and these files are used by lighting designers or electrical engineers to simulate the lighting for a given application (digital proof of concept). All reputable companies should be able to provide IES for their products. We have IES files for most of our 9000 versions of Andromeda™ available on our website for easy download. 3. What diode is being used and does it have IESNA LM-80 documentation? The brand of diode is worth knowing, as with everything there are premium brands (such as Nichia, CREE, Seoul Semi-Conductor, etc…) which are well established and may indicate a better product or at least quality of light. But more important is the LM-80 report which is an approved method for measuring the lumen maintenance and chromaticity shift of LED light sources. In layman’s terms this test report provides information how about how long the LED engine in the luminaire should last, and how well the quality of light will be maintained. Further, TM-21 calculations should be included in the report which can be used to predict the lifespan of the luminaires under varying conditions. Our Andromeda™XPB uses Nichia 219B LEDs, for which a detailed LM80 report is available HERE. This diode is tested at three separate ambient temperatures (55⁰C, 80⁰C, 100⁰C) with values for lumen maintenance, chromaticity shift, and a TM-21 projection (L70(10K)) for each temp, which are all greater than 60,000 hrs. 4. 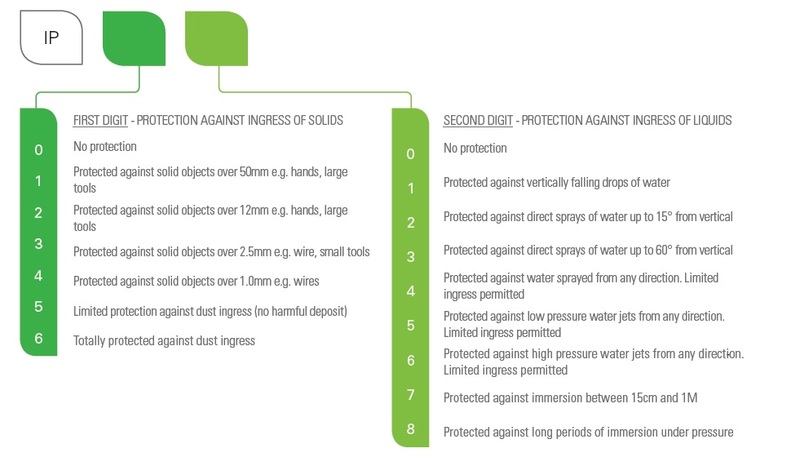 What is the Ingress Protection (IP) Rating of the Luminaire, and has it been salt spray tested? If the luminaire in question is going to be used externally, or will be subjected to wet or adverse conditions it should have a relevant IP rating. You can look at a chart of IP ratings HERE. As a general rule luminaires used externally and subjected to the weather should have an IP rating of IP65 at least. Salt spray tests are also a necessity if the luminaires are placed in a corrosive environment (Category C- Category E) – from 50km from the Ocean. Further, specific tests should be conducted for environments with unique or especially challenging environments. Our Andromeda™XPB series is rated IPI66, and has been salt spray tested to GB/T 10125 and GB/T 6461 for the pixel rail components. We also have conducted extra testing for our luminaires placed in highly corrosive environments, such as the high chlorine environments found in pulp and paper mills. 5. What is the Lamp Circuit Power (LCP) of the luminaire, and how much power does it consume in the “off” state? Lamp Circuit Power is the actual power usage of the entire luminaire. This includes the driver (transformer), LED engine, and any other electrical components attached to the unit. The LCP should be tested by a NATA certified laboratory, particularly if calculations based on the LCP are to be used to apply for power/carbon saving based incentives. As part of our LM79 reports we’ve included testing for LCP. For instance, our 300W Andromeda™XPB LCP is only 283.3W. In the “off” position our 150W driver for our Andromeda™ consume 1.3W of power (an Andromeda™XPB 300W has two 150W drivers – therefore 2.6W of power). 6. What is the maximum junction temperature (Tj) specification (at highest ambient temperature)? Junction temperature (TJ) is the temperature measured at the semi-conductor (LED) itself during operation. Tj is typically measured at various ambient temperatures to ensure that the recommendations of the diode manufacturer are being met. Tj temperatures that meet, or are lower than the LED manufacture’s recommendation indicate excellent thermal management and will ensure that the diodes meet both their performance and lifespan characteristics. Tj temps which exceed stated limits typically mean poorer performing diodes and shorter lifespans (if not outright failure). Our Andromeda™XPB series, driven at 600mA, has a Tj temp of 102⁰C at an ambient temp of 55⁰C. The Tj max for the Nichia 219B diode is 150⁰C. This indicates exceptional thermal management, guaranteeing performance and lifespan even at high ambient temperatures. 7. Quality of light. CCT ranges and CRI. The quality or characteristics of light required for a given application vary widely. And without going too much into appropriate Colour Correlated Temperature (CCT) or Colour Rendering Index (CRI) it is useful to know what your application requires (practicality, or through and applicable standard) and ensure that your choice of LED mirrors or exceeds the requirement. The important question to ask here is “Does your choice in LED luminaire provide variability in both CCT and CRI to accommodate your requirements?”. We offer a multitude of options in both CCT from amber (2300K) to very cool white (8500K )in a single diode, to 20,000K with colour mixing, and everything in between. We also offer high CRI options (95Ra+) for specific applications. Our CCT is binned within 175k for most of our luminaires. The most common Andromeda™XPB is ~4500K & CRI >75. 8. What is the power factor of the luminaire? Power factor (PF) is expressed as a ratio of “real” vs. “apparent” power – with a perfect power factor being “1”. PF is important because it measures how effectively you are using power, and improving it can maximize current-carrying capacity, improve voltage to equipment, and reduce power losses – which leads to lower electricity bills. The Andromeda™XPB series has a power factor of greater of >0.9, with typical luminaires in the series at 0.95 or greater. These are excellent values for lighting (for example, fluorescent technology often has PF values less than .80). 9. What is the lifespan of the luminaire? What is its warranty? The DOE in the US limits lifespan claims at 50,000 hours, and Energy Star Standards require a 3 year warranty at least on LED lamps/luminaires. 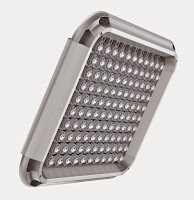 Most quality LED products should have at least a lifespan of 50,000 hours and a 3 year warranty. By using the information in question 3 and 6 above, it can be shown that even in the most extreme conditions (ambient of 55⁰C) the Andromeda™XPB with Nichia 219 diodes will perform past 60,000 hours (to L70). As such we have a comprehensive warranty of 5 years on this product. It’s worth noting that at 12 hour per day, 365 day per operation, the luminaire would be expected to last for ~13 years. 10. What is the efficacy (lm/W) of the luminaire – post optics? This measurement has become a benchmark of LED performance. It is not necessarily always relevant, however, when replacing high intensity discharge luminaires it can indicate potentially large savings in power. The higher the efficacy, the greater the savings in power as compared to lower performing luminaires. It is important, however, to know the POST-OPTIC efficacy, not the luminous flux. As all that matters to an end-user is how much usable light is actually being emitted by the luminaire – versus how much is being generated (and lost) in the first place. This information is often available on the LM79 report. Our Andromeda™XPB series has an efficacy of 115+lm/W post-optics which you can view HERE. This is very high compared to both traditional lighting and other LED products, and sets our luminaires apart as some of the most efficacious available.